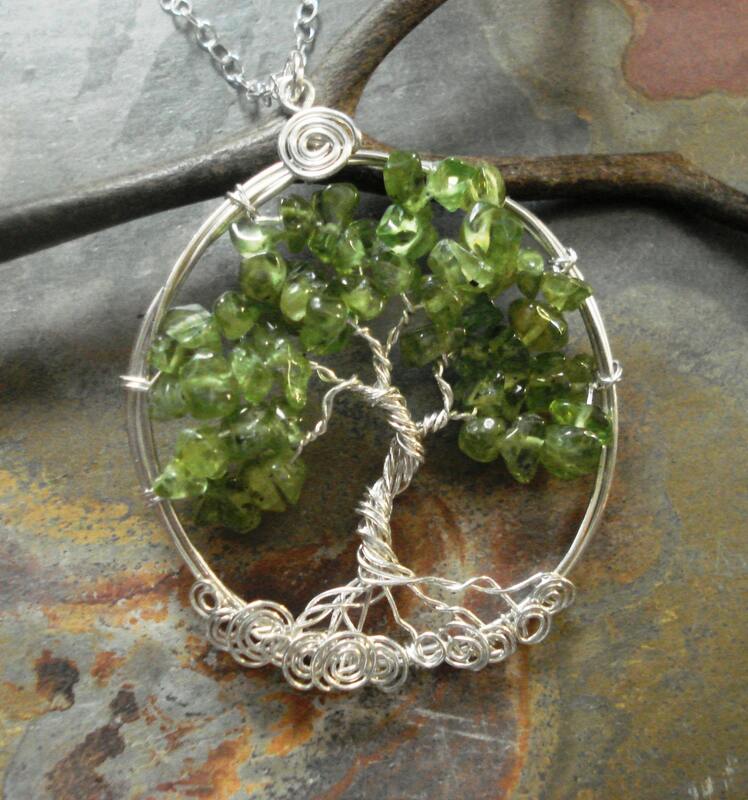 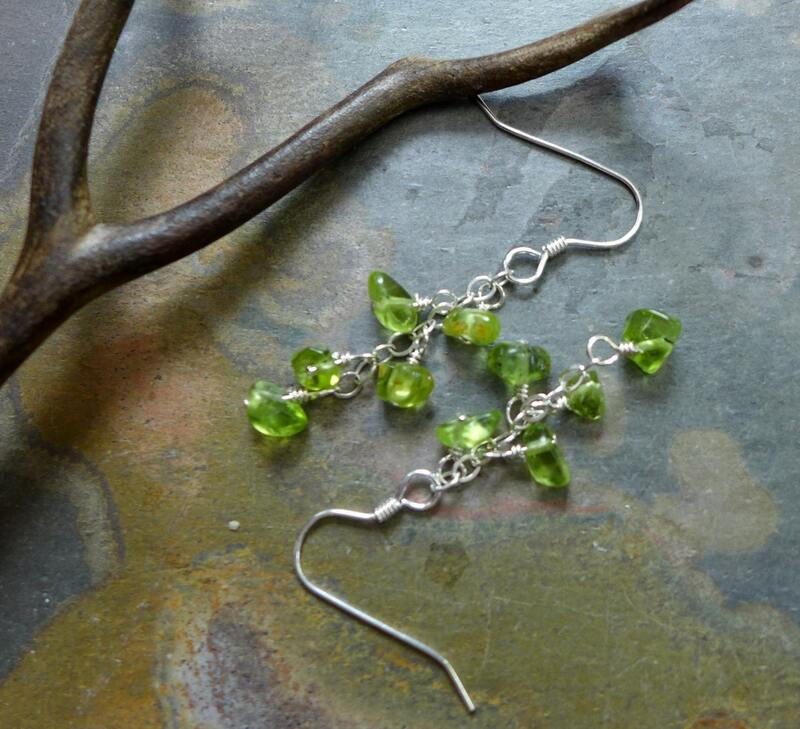 These pretty matching genuine green Peridot earrings are handmade to complement the wire wrapped Tree of Life pendant necklace. 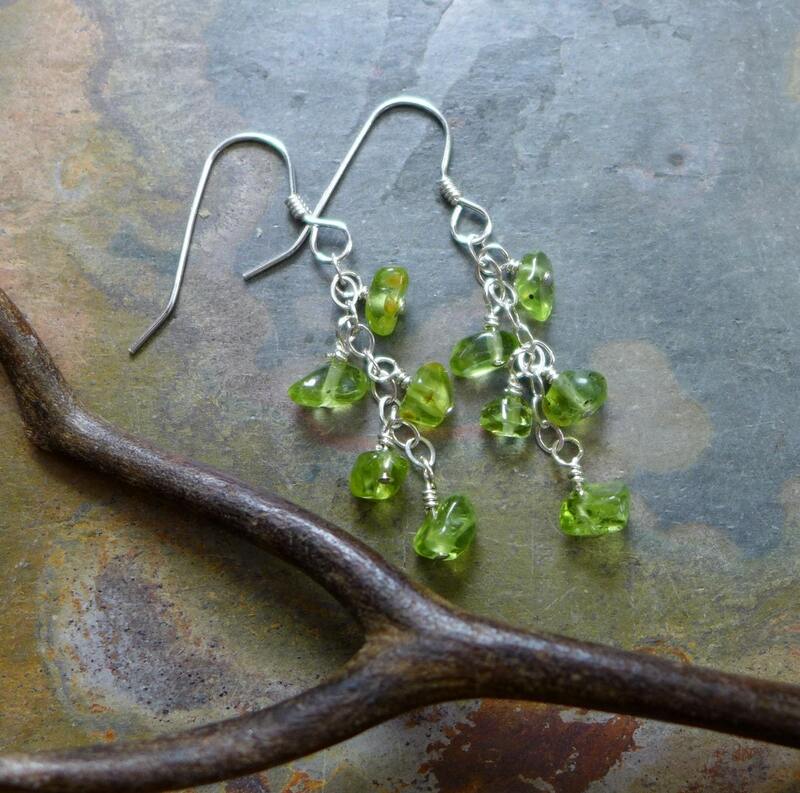 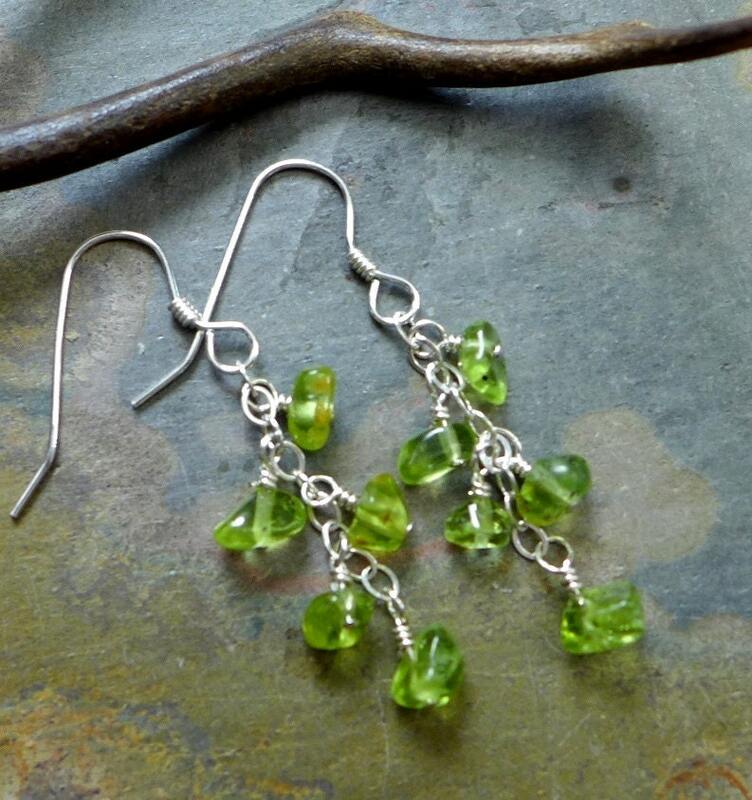 These earrings are made with Peridot gemstone using .925 Sterling Silver wire. 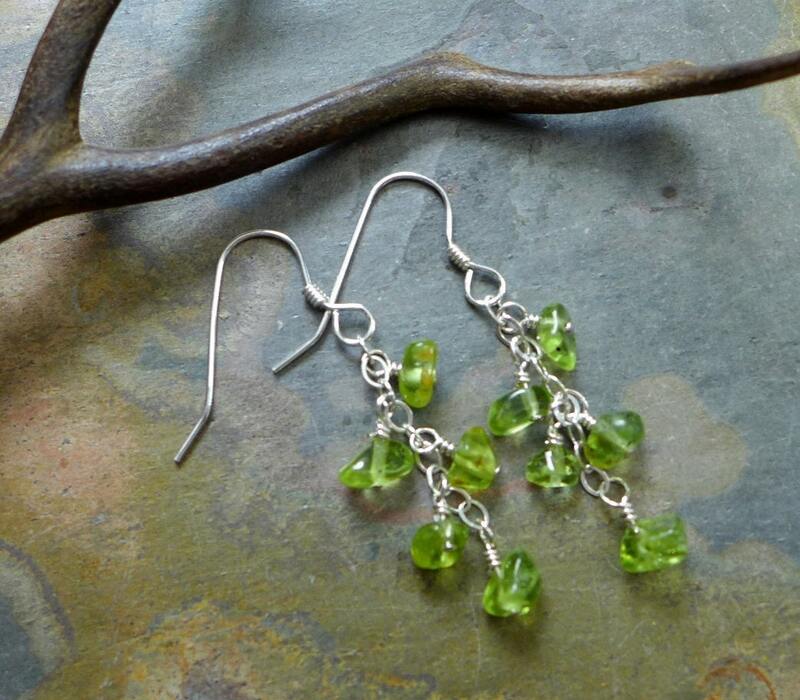 They dangle about 1 inch from the bottom of the .925 sterling silver french earwires.